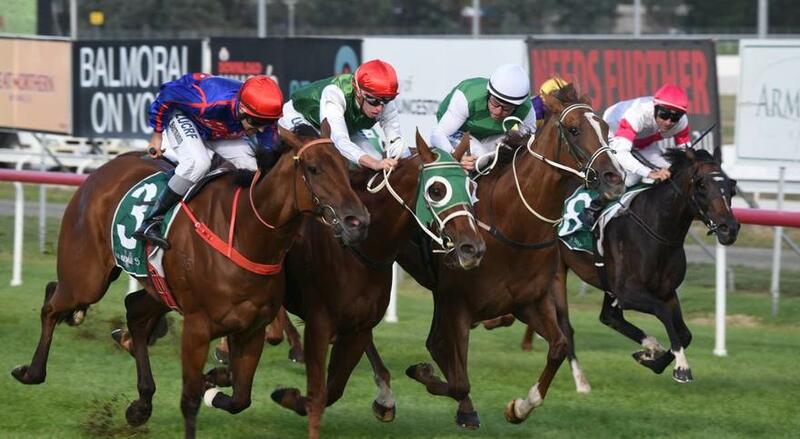 Trainer Adam Trinder turned a nightmare into a dream result when former Victorian mare Twitchy Frank scored a last-stride win in the $150,000 Vamos Stakes. Jockey Anthony Darmanin completed a treble when he came with a perfectly-timed run to just edge out Scott Brunton-trained stablemates I Remember You and Life On The Wire.Trinder inherited Twitchy Frank from disqualified Victorian trainer Darren Weir only five days before she finished second in the Bow Mistress in Hobart. "It was a bit of a nightmare getting a horse under those circumstances and I really didn't know whether to run her or not," the trainer said. "But she settled in quickly so we went ahead and I was satisfied with her run. "Since then, I've learnt a bit more about her and she was much brighter in the coat today." Darmanin said Twitchy Frank pulled hard due to a slow pace but he resisted the temptation to make an early move. "I didn't want to pop out and go around them so I had to wait," he said. "I was quietly confident I was close enough to run them down."